The Jackdaw's Ring: Dr. Byron J. 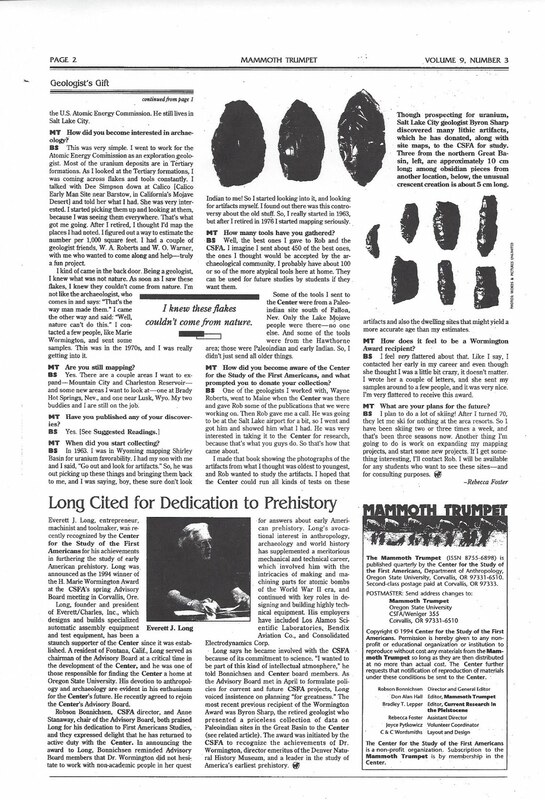 Sharp and the documentation of early Man in North America. Dr. Byron J. Sharp and the documentation of early Man in North America. My Father was a true innovator in the field of Geology, Paleontology, Minerology and finally Archeology. His work in the later lasted over forty five years and his dogged pursuit of the truth to put his work in the hands of people that would carry the knowledge into the next generations for much research in the future. 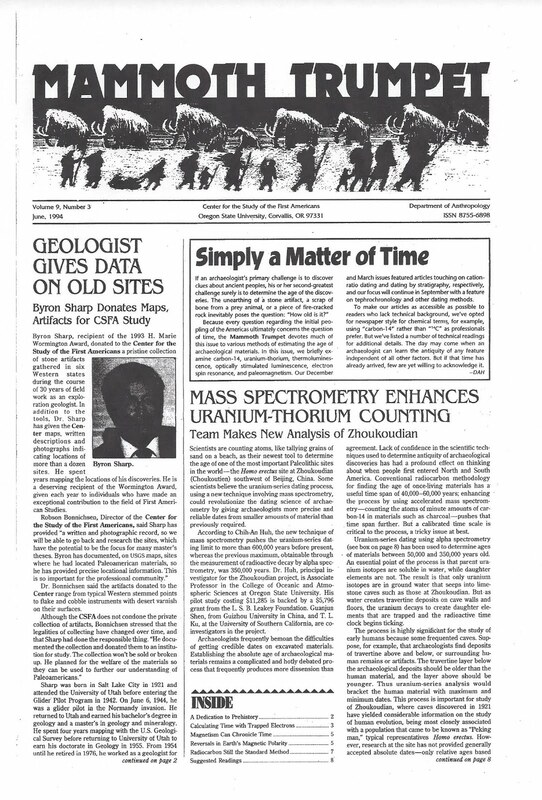 His award was for "the Study of the First Americans" and it was his most cherished contribution, even over his asteroid impact theory and mapping energy resources to having Cambrian fossils named after him. It was a great way to grow up, and our home was a natural history museum of books and interesting collections of fossils, rocks, minerals and artifacts. He was a water color artist and had been the favorite nephew of Mahonri Young, having accompanied him on many trips around the west to sketch and water color whenever he came to stay with the family. This is his article in the Mammoth Times along with acknowledgement of his award.